Hi everyone! 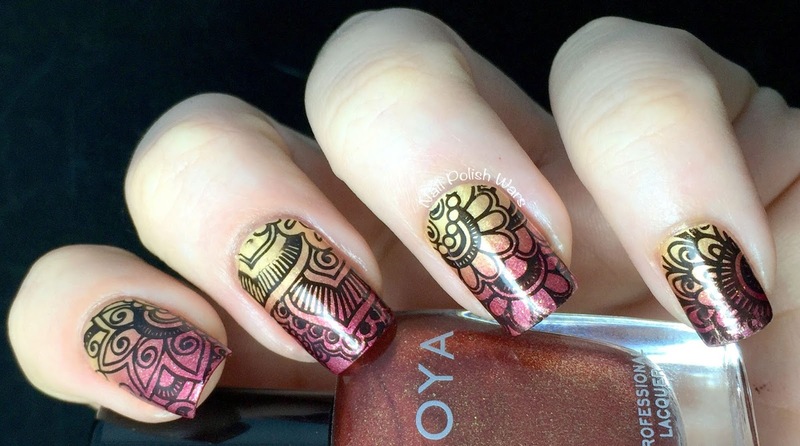 I recently received the BP-L008 plate from Born Pretty Store, and so many of the full nail images really reminded me of henna designs - so of course I had to try them out! I started off with two coats of OPI Rollin' in Cashmere, followed by one coat of SV. Using a wedge makeup sponge, I added a gradient using Rollin' in Cashmere, Zoya Autumn, and Zoya India. I followed with one coat of SV. I paired the stamping plate with Cirque Colors Memento Mori and used a different image for each nail. I finished with one coat of SV. 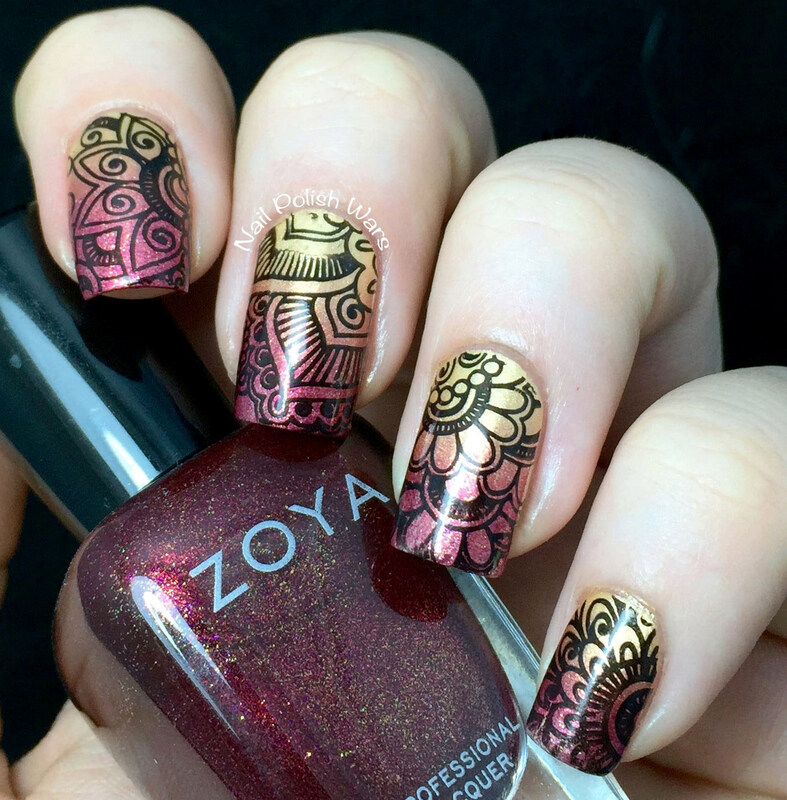 I really love the end result, and now I seriously want to go get some henna done!! 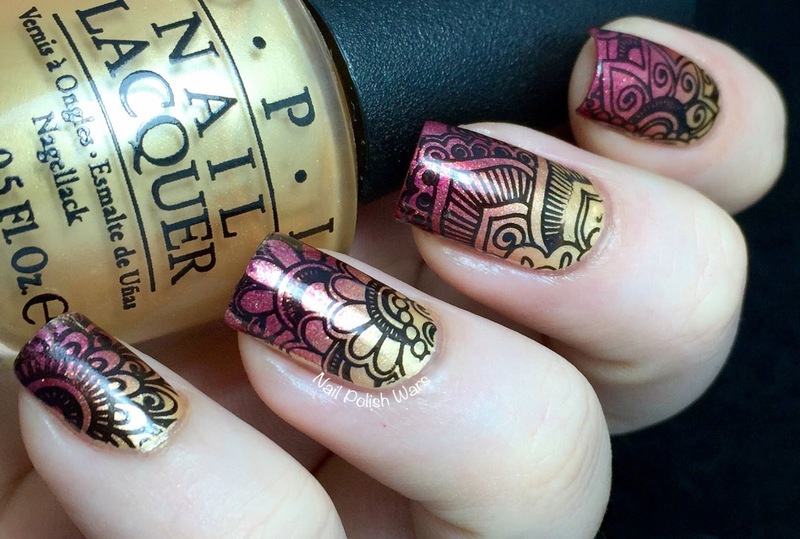 This is so pretty and perfect, it looks like nail wraps or something! How pretty! 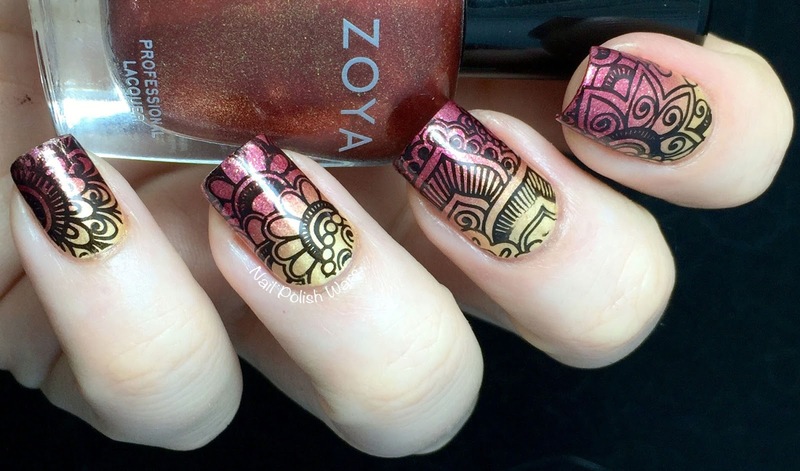 That gradient really works so well with the stamping image. Btw, loved the surprise of you showing up at a certain other blogger's nail tech school! I told her in a comment that I would have embarrassed myself squee-ing! Fab choice with the gradient underneath. This so beautiful! That gradient is gorgeous!